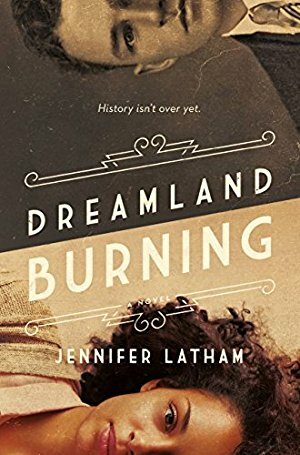 This well-crafted YA release smoothly bridges the divide between present-day Tulsa, Oklahoma and the little-known race riots that occurred there during two terrifying days in 1921. During renovations of 17-year-old Rowan Chase's historic family home, a skeleton is unearthed in the backyard. The police don't care who the bones belong to, but Rowan sure does. Unbeknownst to her, this skeleton links Rowan with another teen, Will Tillman, who lived in Tulsa nearly a hundred years ago. Latham flips back and forth in time, between two teens facing their own kinds of crossroads, to give her readers a page-turning history/mystery mash-up, as her young protagonists wrestle through issues of family, friendship, identity, and belonging. I read this in an afternoon—I couldn't put it down. Publication date: February 21.